Tracy Walton has worked with several investigators looking at clinical outcomes in people with cancer. In 2001-2002 she worked with what is now Harvard Medical School’s Osher Institute, collecting pilot data on massage with hospitalized patients with metastatic disease. 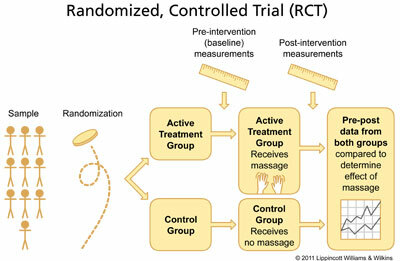 The data were collected to gain funding for a phase II randomized, controlled trial (RCT) on massage with this population. co-investigator on the phase II trial, “Massage for Hospitalized Patients with Metastatic Cancer (NIH Grant # 5R21CA098487-02).” This grant was funded by the National Cancer Institute, the principal investigator was Russell Phillips, MD, and the research was carried out at the Beth Israel-Deaconess Medical Center in Boston. 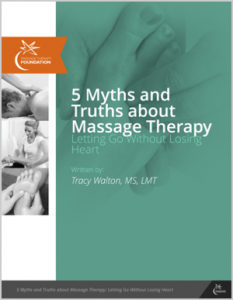 In 2006 she helped complete a systematic review of research on massage therapy and symptom relief in patients with cancer. The principal investigator was Cynthia Myers, LMT, Ph.D. at the Moffitt Cancer Center in Tampa, Florida. She worked as a consultant on a grant from the National Cancer Institute, “Couples and Cancer: Building Partner Efficacy in Caring (NIH Grant # 2R44CA103606-02A2)” The principal investigator on this Phase II grant was William Collinge of Collinge and Associates. The project yielded the “Touch, Caring, and Cancer” home instruction program now in use in hospitals around the world, and available in 5 languages.